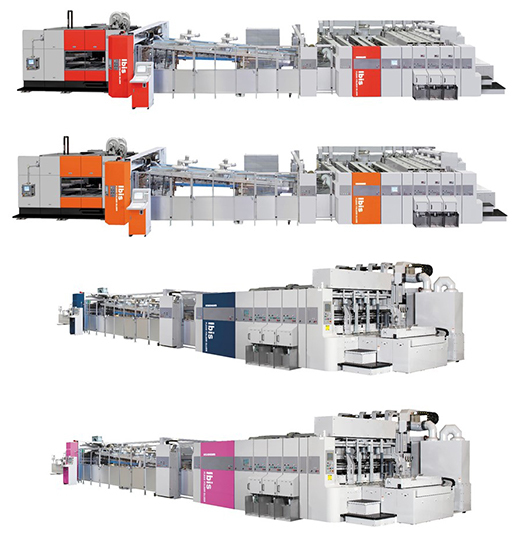 The IBIS is a flexo folder gluer, capable of producing multiple types of boxes. Machine size ranges from 2400mm to 3000mm, 3 sizes are available. The IBIS has been developed to make so called impossible orders to possible, with the following concept. The IBIS responds to wide range of production needs. The IBIS is equipped with many new technologies. The IBIS has many selective options for customer’s optimization. The SuperFlex Plus Inking System - with faster color changes and minimal emission - is standard.